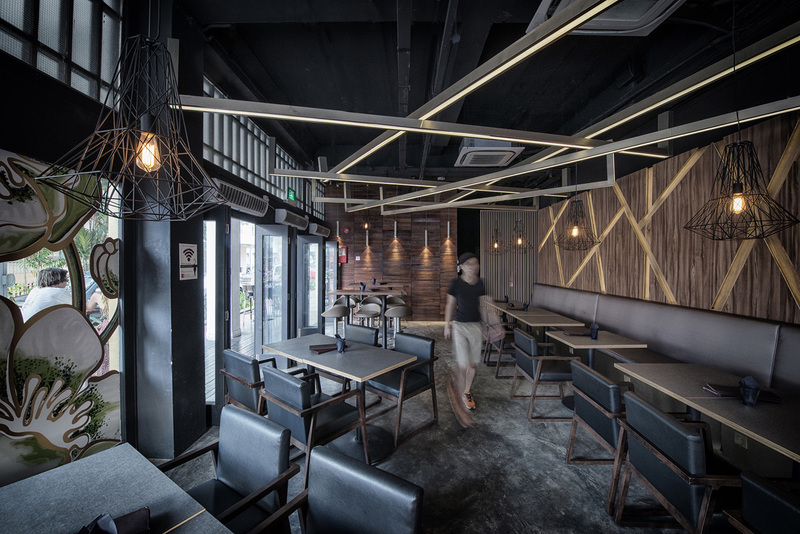 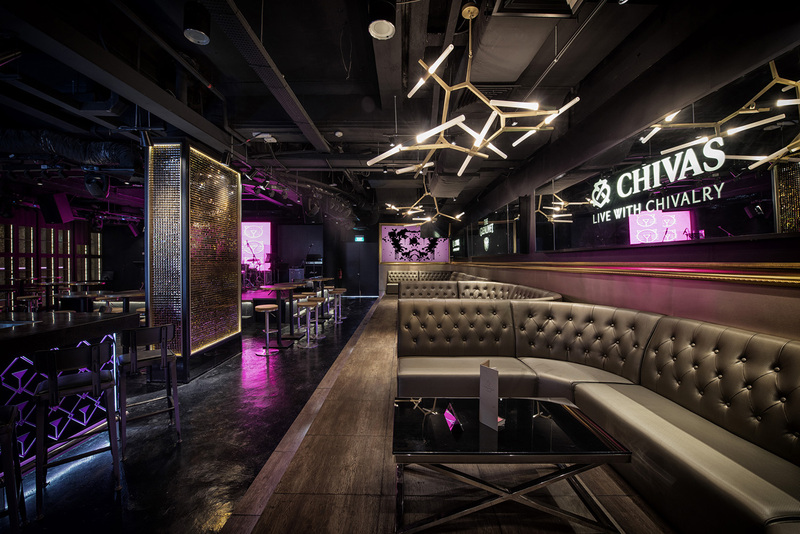 TOPOS Design successfully conceptualised the logo and design challenges for two-in-one nightspot – The Shaven Cat, which opened in May 2014 along Tanjong Pagar Road. 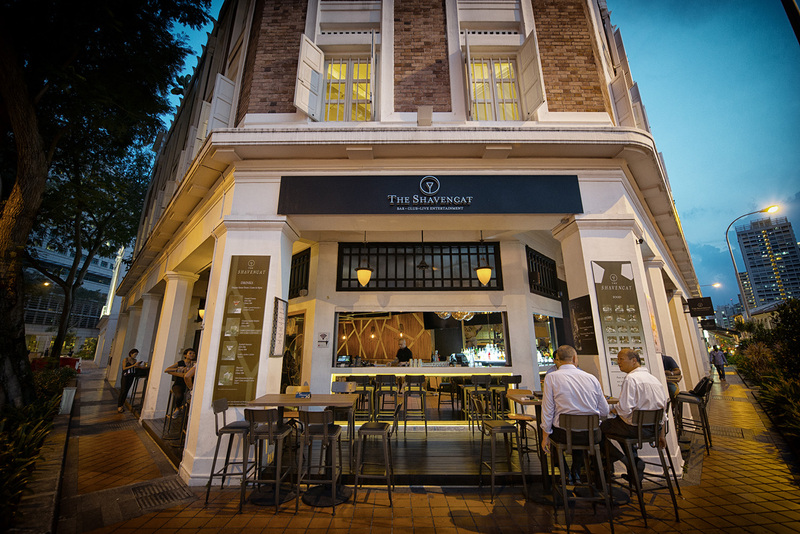 We portrayed the establishment’s overall masculine identity in their logo, which discreetly fuses elements of a car’s nose, a martini glass, and the suggestion of a woman’s femininity. 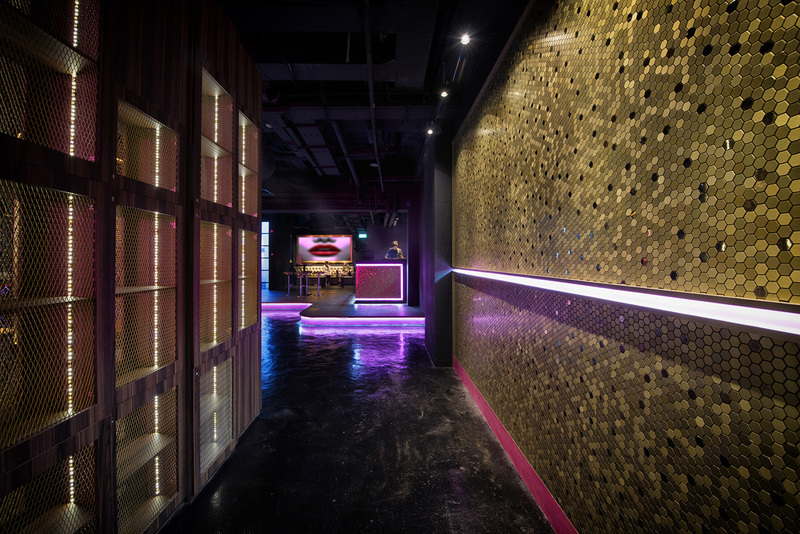 Our design concept integrated the two different sections; the dining section The Bar and balanced it with its entertainment section The Club. The Bar, with its semi-alfresco bar, stood out from the other shophouse fronts, with a modern and bold update to its historical architectural design; use of metal and wood, criss-crossing wooden bars and indulgent, dark leather seats. 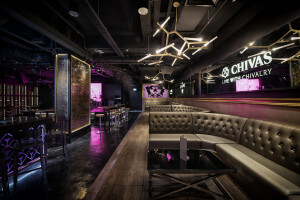 The Club carried on the innuendos embedded in the logo with fuschia and purple ambient lighting, a ceiling with criss-cross detailing and sleek banquettes to create an inviting space.